4,700 SEPTA workers from the Transit Workers Union Local 234 went on strike at the stroke of midnight Tuesday despite daylong contract negotiations with SEPTA officials. Drivers will finish out their routes tonight. Parties for both sides met at the Sheraton Philadelphia Downtown Hotel in Center City all day Monday. 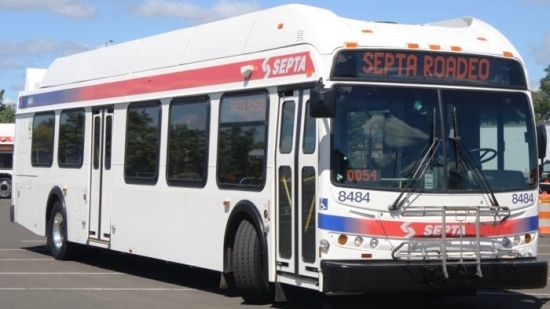 The strike will affect some 400,000 SEPTA bus, trolley, and subway riders. The Regional Rail and Suburban bus, Trolley Routes 101 & 102, and Norristown High Speed line would not be affected. 60,000 school children also use the system to get to and from school but school will be open. Sticking points included healthcare, pension and work rules such as schedules, break times and driver fatigue. "SEPTA's negotiators have worked tirelessly for months in an effort to reach a fair contract agreement with TWU Local 234 and avoid a service disruption. Unfortunately, the union's leaders tonight elected to take the 4,700-plus members who work in the City Transit Division out on Strike. The decision by TWU President Willie Brown leaves thousands of SEPTA customers without the transit services they rely on for travel to-and-from work, school, and medical appointments. In doing so, Mr. Brown walked away from a contract offer that would have provided his members pay raises, enhanced pension benefits, maintained health care coverage levels and continued job security, while also remaining fair and affordable for the taxpayers and riders who fund SEPTA. SEPTA negotiators stand ready and willing to continue bargaining, and the Authority urges Mr. Brown and TWU leadership to return to the bargaining table to negotiate an agreement that will end a severely disruptive work stoppage. We are hopeful that a tentative agreement will be reached before Election Day. If we foresee and agreement will not come to pass, SEPTA intends to seek to enjoin the strike for November 8th to ensure the strike does not prevent any voters from getting to the polls and exercising their right to vote."